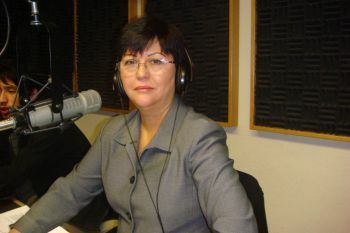 Café con Leche is a bilingual community oriented radio talk show created to enlighten the Antelope Valley, the Latino Community and the World. Café con Leche is a program conducted in Spanish/ English in the Antelope Valley. This is the first program in the Antelope Valley created for the purpose of keeping the Hispanic community informed of what’s happening in the world . We offer local and national news, information about education, health, finances, economy, immigration, civic responsibilities, social services, and any other issues that concern the Local Hispanic population and any one else seeking personal advancement. We have, as guests, some of the most influential community leaders and we open our phones for the public to ask them any question they may have. The goal of this program is to make our listeners the best American citizens, through information, education, involvement and participation. We are continually providing information about Constitutional Rights and resources available to them. We provide a window to the World. I would like to get in contact with you to obtain information on taped radio shows. Hello Cynthia, just tell me the date and I will look for it. Me gustaria saber como puedo entrar al show de esta radio para publicidad de mi trabajo? Hola Laura, que clase de trabajo haces y donde vives? Hey! I am trying to know more about cafe con Leche, especially because I have a Latino club at my college (in the AV) and I was looking to see how we can collaborate!